Are you looking to treat your party to a night out on the town in luxury and at an affordable price? Take the party on the road by renting a party bus from Blue Ribbon. You celebrate, we drive! When you rent a party bus from us, you and your guests can relax and don’t have to worry about being the designated driver! Our guests enjoy: Sound system to play your favorite music via your Bluetooth device, LED colored lighting with remote to change colors, Space for up to 12 people and so much more!! Be sure to visit our Facebook page for any upcoming specials and or events! 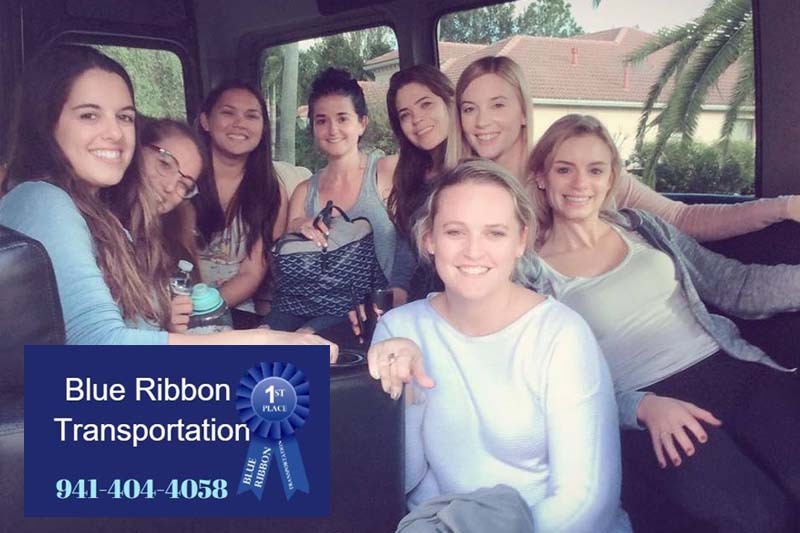 Click here to learn more about Sarasota Party Bus Rentals!